The title of this pocket volume, the seventh book in the Thumbprint series by Stonewood Press, caught my attention. 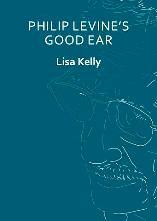 Lisa Kelly has single-sided deafness from childhood mumps and since my son is partially sighted this shared variance of a sense intrigued me. that the wind whispering “Ceuta” into your good ear. As a stream of consciousness piece with long lines, the form of this poem delights me. In fact, the variety of form within this whole book delights me; each choice being perfect for each work. The momentum of the poems together, often jostling for attention with exuberance and attractive energy, is delightful too. Quirkily, the unpunctuated “Aphid Reproduction and Unpunctuated White Noise”, has punctuation solely demarcating each section. Even when poring over intricate familial observations (“Slant of Summer”), these poems travel over each page; free-spirited, carefree and resilient. The rhythm of “Deaf Dance” is infectious. In the way that Philip Levine’s poem asks us ‘know what work is?’ I wanted to know what deafness is and now I do, in a small beginning way. rush hour of solemnity sensed its shadow? I thought, Can we possibly still our lives. This appetizer of a collection hurtles, in a pleasingly unorthodox manner, engaging in a myriad of frequencies. It has longevity. I will return to it again and again, and it tantalizes for more. The Cherry Orchard, Moscow Pushkin Drama Theatre, Barbican. Review by Vivienne Avramoff. Three free exhibitions at the Ashmolean Museum of Art and Archaeology. Review by Carla Scarano.